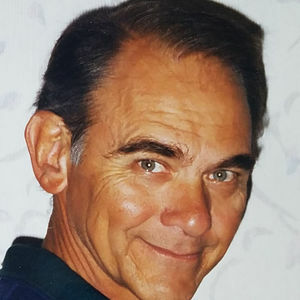 William Scott Lewis, better known to those who loved him as "Bill" and "Papa", lived a blessed life surrounded by precious family and friends. Bill was born in San Antonio, Texas to William Scott Lewis and Audrey Helena (Keller) Lewis. After graduating from Thomas Edison High School in 1964 he went to work for USAA. Bill enlisted in the Army Reserves and joined the SAPD in July of 1966. He served as a police officer for 33 and a half years, as a Patrolman, a member of SWAT, and a VICE detective. He was promoted to Sergeant at an early age and retired as a Lieutenant. For several years in the 80s and 90s, Bill also headed security for North Star Mall. A highly visible and outgoing person, Bill had "the gift of gab". With his friendly attitude, quick wit, and endless supply of one-liners, he often attracted mall patrons seeking information, and wound up in friendly, personable conversation. A skilled marksman and gun collector, Bill enjoyed target shooting almost as much as he loved to fish. He shared his love of coastal fishing with his wife, children, and grandchildren. He was an avid tool collector and talented carpenter, who meticulously labored over every detail of his numerous projects. He was a wonderful man who eagerly loved to share his vast wealth of knowledge and workmanship. He helped everyone around him with any project or repair they had on going. In his retirement years, he built a house from the ground up, north of town, in what was once the "country". While in progress, he drove there every day to feed his deer, no matter the weather. With his wife, Brenda, he also lovingly spoiled a houseful of dogs and cats for many years. Bill leaves behind his wife, Brenda; daughter Laurie and husband, Jeff; son Scott and wife, Emily; his grandchildren: Jake, Trevor, Shelbi, Katy, Alyssa, Dylan, and Riley; sister, Kathleen Gay and husband, George; and many other loved ones and friends. Services will be at Porter Loring North, 2102 North Loop 1604, on January 3rd, 2018, at 3:00 p.m.